FacebookMark Zuckerberg (left) tries the Oculus-powered Gear VR headset with Brendan Iribe (right). Oculus cofounder and former CEO Brendan Iribe announced on Monday that he would be leaving Facebook. According to a TechCrunch report, however, Iribe had grown increasingly frustrated with the Facebook executive team, especially after last week’s cancelation of the “Rift 2,” which he had been leading. Iribe is the second Oculus founding member to leave Facebook in the last 18 months. The cofounder and former CEO of Oculus is leaving the company. Brendan Iribe, who served as Oculus CEO until 2016, announced on Monday that he’s “moving on” from the virtual reality company he helped found, which was bought by Facebook in 2014. 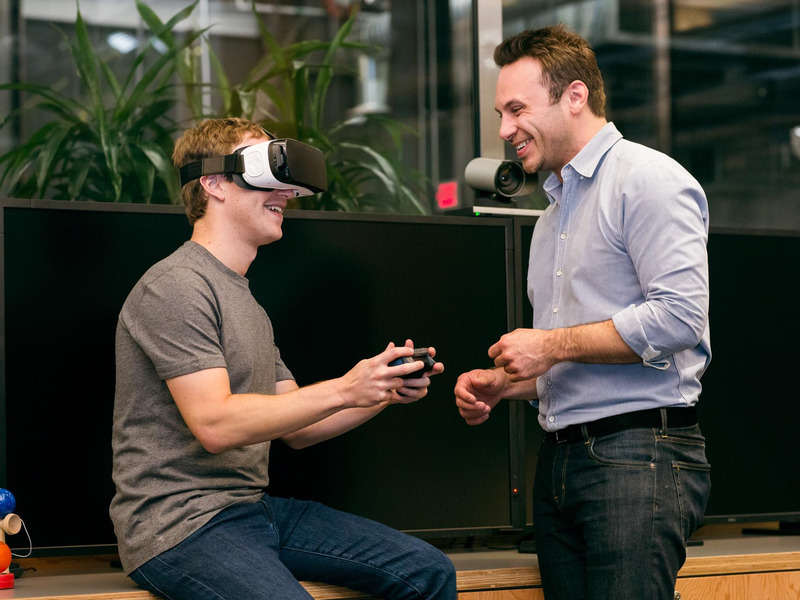 Nate Mitchell, an Oculus cofounder who has been heading the Rift and PC organisation with Iribe at Facebook, will remain in his position and continue leading the team. According to a TechCrunch report, Iribe had grown increasingly frustrated with the Facebook executive team, especially after last week’s cancelation of the “Rift 2,” a PC-powered virtual reality headset that he had been heading the development of. Iribe and Facebook had “fundamentally different views on the future of Oculus that grew deeper over time,” a person familiar with the matter told TechCrunch. TechCrunch also reports that Iribe did not want to be a part of a “race to the bottom” when it came to performance. A Facebook spokeswoman did not give Business Insider an explicit reason for Iribe’s departure beyond saying: “He’s taking time off for the first time in 20 years.” The company is planning a future version of the Rift, and this was not the reason for Iribe’s departure, she said. Iribe is the second Oculus founding member to leave Facebook in the last 18 months, after Palmer Luckey left in March 2017 amid controversy, which included a $US500 million intellectual property suit brought against Oculus and its cofounders. Outside of Oculus, Facebook has had a string of high-profile departures in recent months, including Instagram cofounders Kevin Systrom and Mike Krieger, and WhatsApp cofounder Jan Koum.